Not quite sure where I have found the time, but these turned out bloody gorgeous! Amaretti biscuit cupcakes with Amaretti cream cheese icing. I died and went to Heaven! 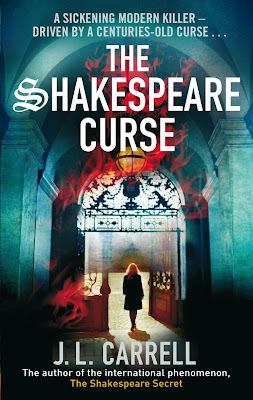 Latest book was "The Shakespeare Curse" which I really enjoyed. Shakespeare, witchcraft and a thriller. Took a couple of days - blasted work keeps getting in the way! So that's 6 books so far (I've reread last HP and last Twilight as well). 52 by the end of the year is still a possibility, but this thing I get paid for takes up a lot of time! Well done to your son Suzanne! Fingers crossed he manages to stay free of the weeeeeed!